Father’s Day is here and we know you are on the hunt for the perfect gift for your favorite guy. Forget the polo t-shirt, brown belt, cologne, or wrist watch you get him every year and gift him something unexpected and thoughtful. Thoughtfully, the brand known for unique and curated gifts has you covered this year. Thoughtfully gifts have so many options for dad, there is no way you can go wrong. In fact, we believe once you gift him these experiences he may just ask for more. Thoughtfully's new positioning and marketing tactic celebrates the brand's passion of creating an innovative gifting experience for consumers through its new, insightful message of inspiring meaningful connections by empowering people to "live and give thoughtfully". This statement supports the brand's commitment to creating a modern gifting experience for consumers by bringing genuine human emotion and an inspiring lifestyle brand image to the experience of purchasing a gift. By restoring the art of thoughtfulness, the brand aspires to enhance human connection. In a society where, social media and technology often take the place of human interactions and leave a sense of inauthenticity, Thoughtfully is committed to closing the impersonal gap and bringing people closer by means of thoughtful gift giving. This shift in strategy will enable the brand to resonate more with the target consumer, broaden its reach, and differentiate itself from the competition. So, if you have ever watched your dad grill to his heart’s content, say no more there are an array of back yard grilling ideas to keep dad happy. 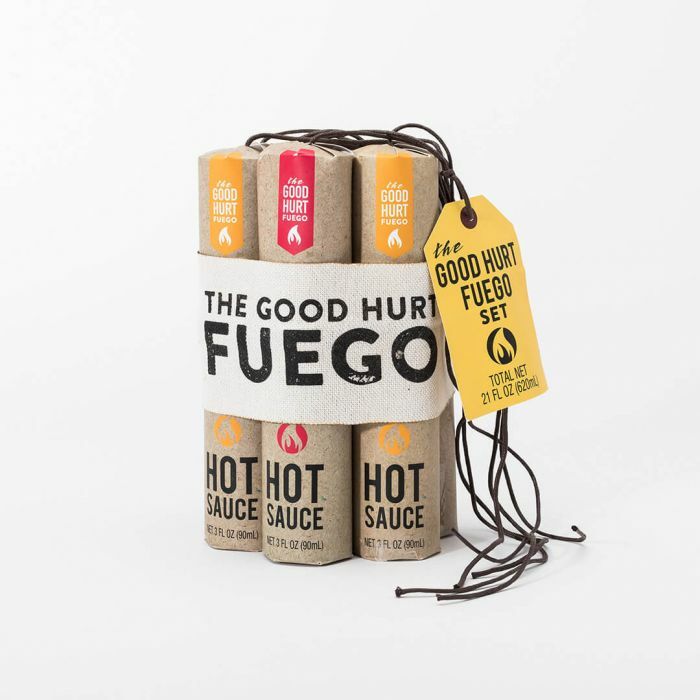 Try these Thoughtfully hot sauce gift sets. This hot sauce is DYNAMITE, literally. This seven-piece hot sauce collection is the best way for Dad to sample some of the best hot sauces around, including whiskey habanero, garlic herb and ghost pepper. This set will be his new kitchen staple and he’ll never get tired of experimenting with different food and flavor combinations. The kitchen can be a battleground and this is your path to victory: arm yourself with an explosion of spicy heat! Perfect for hot sauce veterans, this gift set will have you armed to the teeth with explosions of spicy heat. 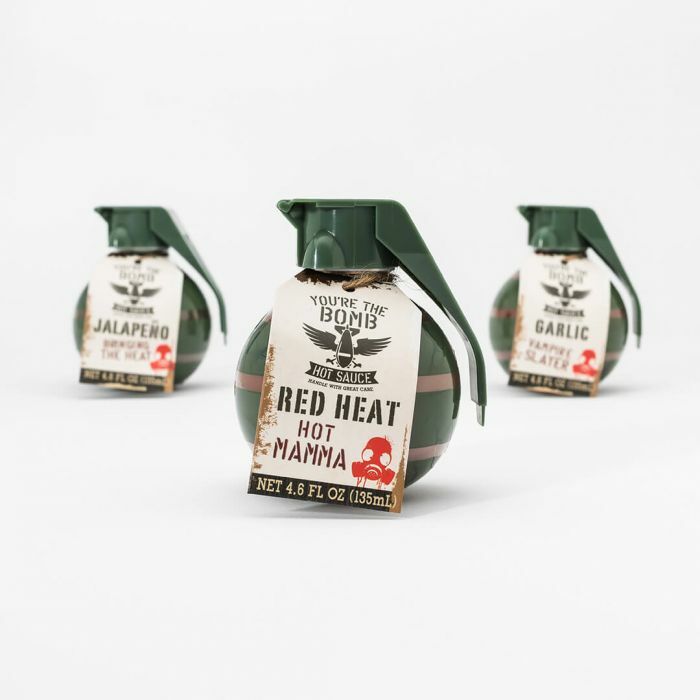 Included in the set are three grenade-shaped hot sauce containers, loaded with flavors like Red Heat, Jalapeño, and Garlic. Just pull the pin and let the flavor fly! For those Dads who like to entertain, give him a fun mixology gift set for him to enjoy with his pals. To the dads who are all about their morning cup of MOJO, try the Coffee House Journal Set. The American Mac N Cheese is a crowd pleaser for that dad who loves to cook for all. If your Dad is like ours, he loves kicking back with a whiskey cocktail. 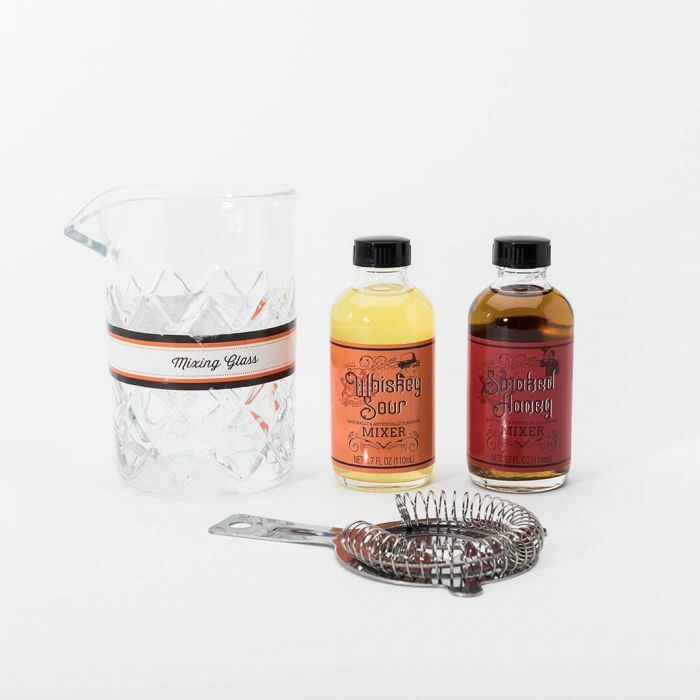 This Whiskey Mixing Set will have him feeling like an experienced mixologist as it comes with all the necessities to create a classic cocktail. Complete with a mixing glass, strainer, Whiskey Sour and Smokey Honey mixers, he’ll be playing bartender in no time. Maybe it’s the sound of the milk steamer or the sound of people coming and going, but there’s something about your local coffee shop that really gets the creative juices flowing. Now you can get that feeling from the comfort of home with our Coffee House Journal Set. Complete with a re-usable cup, latte mix, a stylish notebook, and a pen, we’ve included everything you need to set the scene–simply add a coffee shop noise generator for instant café vibes. The Coffee House Journal Set makes a perfect gift for your favorite coffee date or the coworker you always brainstorm with over your morning cup. Isn’t it in a Dad’s job description to be a bit, cheesy? Your Dad will love this thoughtful, Americana-inspired Mac n’ Cheese gift set. 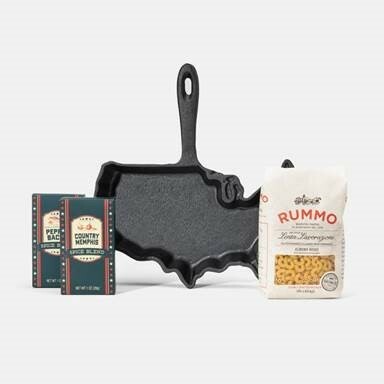 Complete with a skillet shaped like the good ‘ol U S of A, pasta and two spice blends, he will always be reminded the comforts of HOME. Thoughtfully gifts is also expanding their online reach with several newly established retail partnerships including, Costco.com, Wayfair.com, Samsclub.com, and BedBathandBeyond.com, with several others. "I'm incredibly proud of our team and our brand's success to date," stated Nicholas Marlin, GM of Thoughtfully. Marlin continued, "We're excited about the initial response to our brand's new direction and how well our products are resonating with both our partners and customers. There's nothing more rewarding than hearing from our customers how perfect the gift and experience was for their loved ones who received it." Try Thoughtfully gifts for your Father’s Day needs! There is something for every day. Dawn123 and 8 others upvoted this.